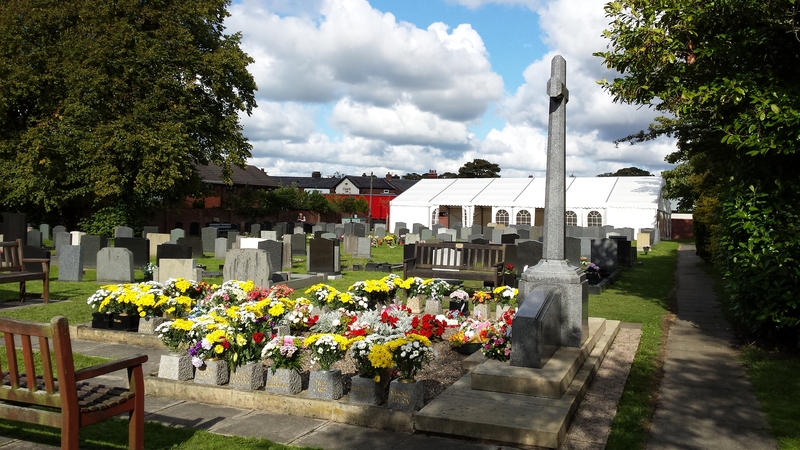 After a night of heavy rain, the skies cleared and the sun shone through on the village of Freckleton on what was to be a day of remembrance and reflection for the many who were so deeply affected by the Air Disaster exactly 70 years ago. Hundreds of people gathered for the memorial service in a marquee in the churchyard of Holy Trinity Church, the final resting place for the children lost on that fateful day. Freckleton Band, having also been affected by the tragedy, provided the music for the service with Principal Cornet Player Ian Walsh sounding the Last Post. As the congregation were gathering, the band played the famous Adagio by the American composer Samuel Barber followed by the quintessentially English Nimrod by Sir Edward Elgar. The two nations have shared a bond from when the Warton Aerodrome was the base for the US Airforce in WW2 with both countries’ armed services as well as the civilians and children suffering casualties on the 23rd August 1944. The band then played Abide With Me to the tune of Eventide. At the laying of the wreath on the children’s grave, the congregation sang Thou, Whose Almighty Word to the tune Moscow. It was on the 14th June 1951 that Mr Banks and Mr Hall of the Freckleton Club Day Committee decided that Rimington and Deep Harmony should be played at the Cenotaph after the procession as a tribute to the fallen of the two world wars. In 1977, it was changed to Crimond and Deep Harmony by the then Club Day Committee. So, as the congregation left, with many paying their respects at the children’s grave, the band played Crimond, Deep Harmony and Rimington. The band would like to thank everyone who had kind words for both Ian’s performance of the Last Post and the band’s contribution to the service, it is very much appreciated. As part of the media coverage leading up to the 70th anniversary, the BBC aired a Witness documentary programme recalling survivor Ruby Currell’s story which also includes the late Harry Latham, also a survivor who was a huge supporter and Vice Chairman of the band for many years. 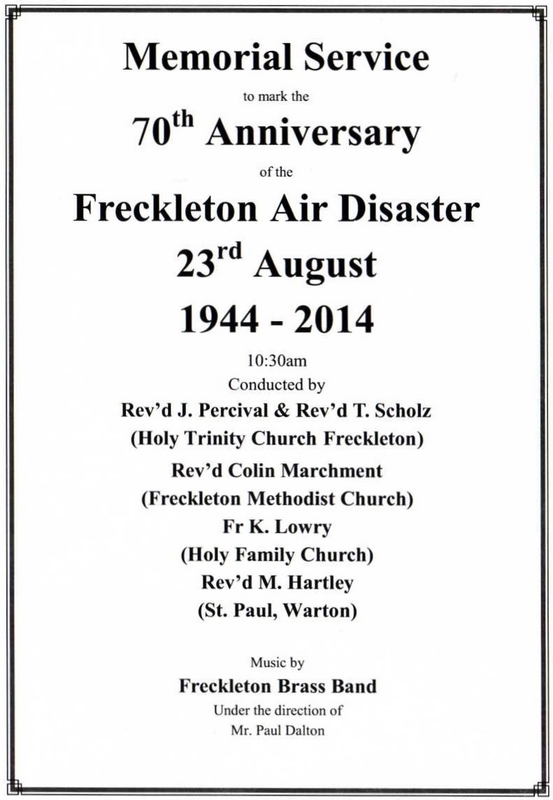 This entry was posted in Freckleton and tagged #Freck70, Freckleton Air Disaster, Last Post by grumbal. Bookmark the permalink.